John Kiely's Limerick squad is likely to get even stronger, with vice-captain Paul Browne on the comeback trail from a cruciate knee ligament injury and featuring in club action over the weekend. The Treaty have taken all before them as they backed up All-Ireland success with last month's League triumph and Browne looks set to bolster their ranks further having made a smooth return to action after ten months on the sidelines. 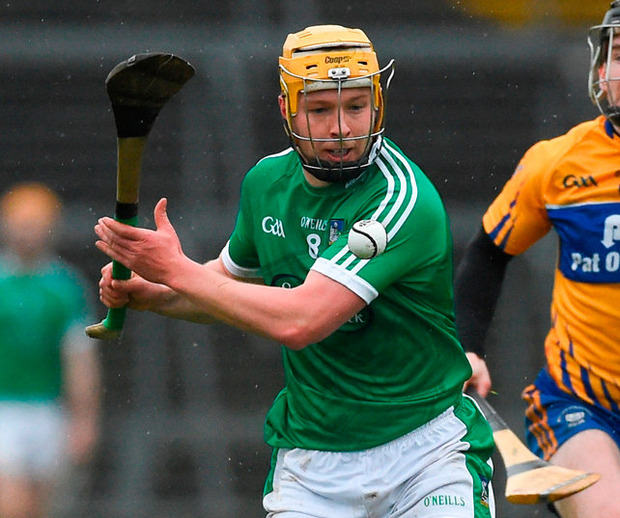 He returned to fire a goal in Bruff's Limerick IHC victory over Dromin-Athlacca last weekend and he will get another opportunity to impress in this week's second-round games as Kiely sets his gaze on Limerick's Munster SHC opener with Cork on May 19. Meanwhile, county stars Cian Lynch, Diarmaid Byrnes and Aaron Gillane were all to the fore as Ciarán Carey's Patrickswell got their SHC campaign off to the perfect start when defeating last year's beaten finalists Doon, 1-13 to 0-10. Defender Richie English was shown a straight red card in the second-half for Doon but won't miss any county action, while reigning champions Na Piarsaigh had a comfortable 4-20 to 0-10 victory over South Liberties. Big hitters Kilmallock also opened with a win as they saw off Adare, 0-18 to 0-13.